Been a long, been a long, been a long time. Anyone remember those words from the old song? I’ve been busy over the last few months trying to work for a living and juggle social life which has made me neglect my blog. I blame my computer really, as the many ways it distracts me from doing essential jobs are too numerous to mention. Especially when it comes to playing with photographs, resizing, cropping, changing aspects, etc. My biggest problem is not being able to resist trying them in different styles – just for my own amusement, of course – and I can waste a good few hours doing this. But hey ho! here I am again. 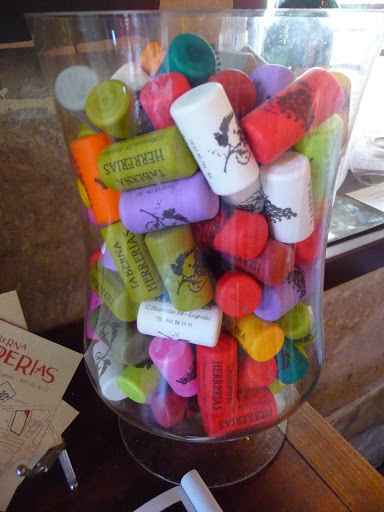 Since I last blogged I’ve been to the Rioja Wine Festival in Spain where the celebrations were absolutely fabulous. Tapas in the bars from 7 in the evening until well into the early hours of the morning, drinking some fabulous wines that I’d never tried before and when it wasn’t a tapas evening, sampling superb food in great restaurants, two of which stand out particularly. 1. Restaurant La Venta Moncalvillo, a country restaurant about 12 miles outside Longroño. Since opening in 1997 this restaurant has grown from a modest little place to one of the most important restaurants in the region. The two owners, brothers Carlos and Ignacio Echapresto do everything between them from the wine buying to the organization of the seasonal menus. A dish of wild mushroom sliced so thinly as to be almost transparent and served with the best olive oil and a sprinkling of chives makes a perfect starter, especially when followed by Ham Ibérico liced just so wrapped round the white asparagus that Spain specialises in. In the old area of Logroño stands the Taberna Herrerias (a name that means Blacksmiths Tavern),on the street of the same name. It is a 16th century palace sympathetically renovated without losing any of its ancient charm and now a restaurant serving delicious fresh, locally produced food,. 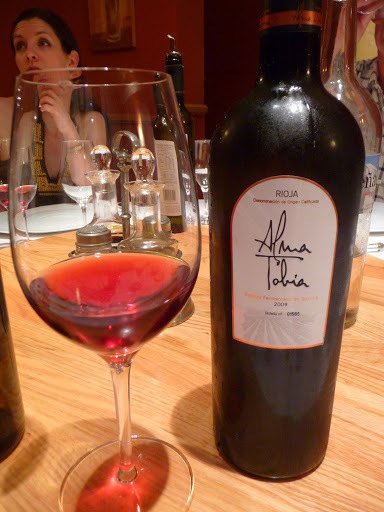 The wines come from all over the world, but naturally, the locally produced Rioja is very much to the fore, especially the top quality Riojas that are sometimes difficult to source. Logroño, Rioja’s capital, is an amazing city and one I hadn’t previously visited. Accessible from the port of Bilbao which we arrived at and from where we hired car, we reached Logroño in just over two hours easy driving. I met some people who had flown there, via Madrid, which they described as an easy trip. Of the many experiences in and around Rioja, I treasure most the early morning balloon flight over the vineyards, flying up and into the clouds and watching the morning sun come up and cast the balloon’s shadow on the same white clouds. Looking down on the toy cars and the dolls’ houses and experiencing the eerie silence as we drifted in space sharing a breakfast glass of champagne, was something I shall remember for the rest of my life. 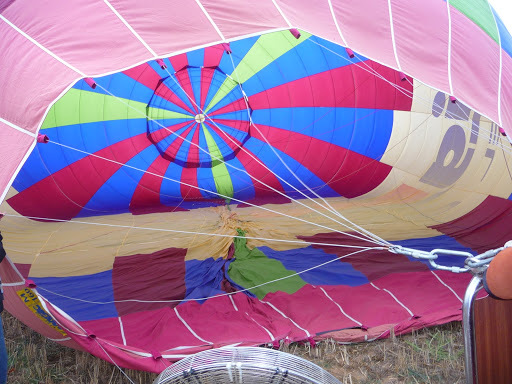 I’ve done other balloon flights, but this one I can only describe as magical. 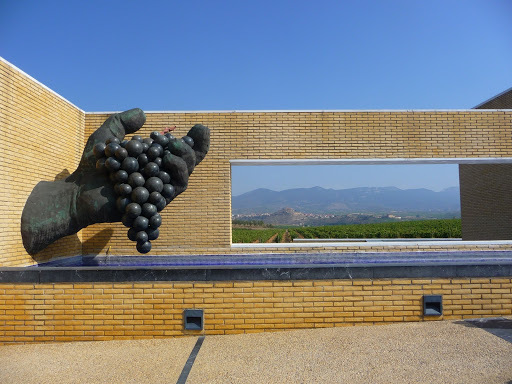 A visit to what must be one of the best Museums ever, the Dinastía Vivanco Bodegas Museo del Vino set in the heart of the wine area of Alberite in La Rioja, should be on everyone’s list of things to do in Rioja. Located right next to the Vivanco winery from which it takes its name, in the town of Briones, it was built to “give back to wine what wine has given to us” in the words of its founder Pedro Vivanco Paracuellos. It was Senor Vivanco’s passion for collecting everything to do with wine that led him to open this magnificent museum, created to showcase every aspect of his collection. Overlooking vineyards and the town of Briones, the Museum covers everything from ancient wine making to wine tasting guiding the visitor through ceramics, brass utensils and even a “smell experience” where the smells associated with wines can be experimented with. Truly the most enjoyable museum I have ever visited. There were wine tastings, trips to a thermal spa, horse riding, visiting an old monastery, and always, eating. As a week-end trip, or a short break, this undiscovered town has everything, plus some of the best wines you will ever sample. 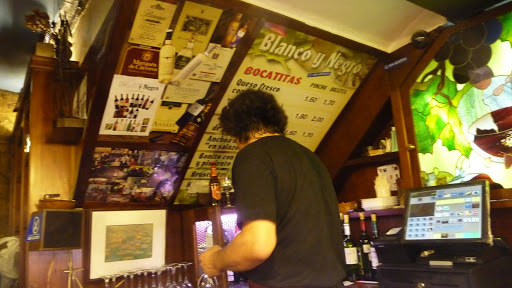 I think of Longroño now, as one of the places I must return to a.s.a.p.